Malaysian Immigration - brief information about travel in Malaysia. Visitors entering Malaysia must possess a valid passport or an internationally recognized travel document (valid for travel to Malaysia). Those who are not in possession of any of these must obtain a Document in lieu of Passport from the Malaysian Representative Office abroad. A passport is necessary for travel between Peninsular Malaysia and Sabah and Sarawak, as well as between Sabah and Sarawak. Malaysians from the Peninsula need either a passport or their identity card to enter Sabah and Sarawak. Visitors who come to Malaysia on a visa must get the document from the Malaysian Representative Office abroad before entering the country. 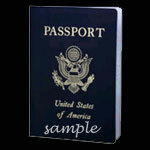 A visa must be used within its validity period (normally three months). However, visitors should note that a visa is not a guarantee for entering Malaysia. The final decision rests with the Immigration Officer at the entry point.